Bettina Bair May 8, 2018 May 8, 2018 Comments Off on OCWiC + ACM-W = First ACM-W Professional Chapter in the U.S.! 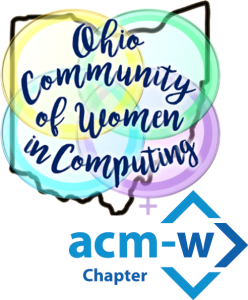 In 2017, we announced our Community project to provide the Ohio Women in Computing with more networking opportunities and resources in the years between our Celebrations (community.ocwic.org). Today, the Community has a website, a blog, an event calendar, a weekly newsletter, and multiple social media channels. We are organized around overlapping “rings” of common interest, like jobs, outreach, events, and clubs, with “ring leaders” keeping the energy and ideas going. We also have a team of regional reporters from ACM-W student chapters around the state, who provide us with news from their areas. Our weekly newsletter has nearly 800 subscribers. We are planning development on the next phase of our website, to provide a data-store for jobs and more community services. And now, OCWiC is very pleased to have been chartered as the first ACM-W Professional Chapter in the U.S. Becoming a professional chapter formalizes the strong relationship we already have with ACM-W. Connecting our regular Celebrations to a Professional Chapter provides stability and continuity for our organization. As a newly formalized non-profit, we will have new responsibilities, which will encourage us to adopt more professional practices. 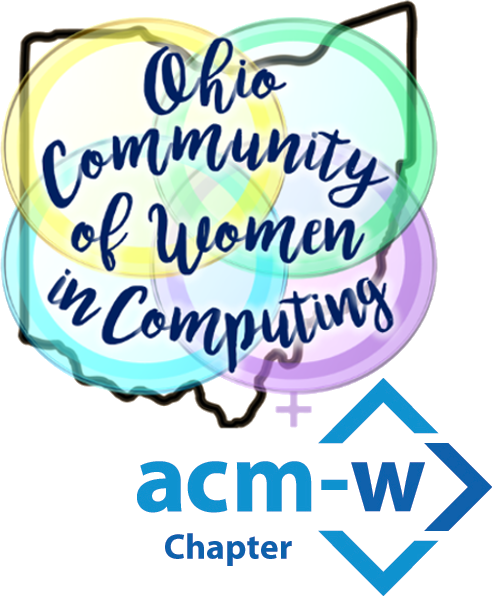 OCWiC ACM-W will benefit from stronger ties with local ACM-W student chapters in Ohio, and we can help them connect with each other. As other new ACM-W Professional Chapter are chartered, we will have even more opportunities for a vibrant exchange of ideas with our sisters, and to co-produce joint projects and events. Stay tuned for news about OCWiC ACM-W, and how you can be involved. Learn more about ACM-W, Student Chapters and Professional Chapters. » #SheIsWhyICode – Who inspires you? » Help Wanted: OCWiC Wants You!